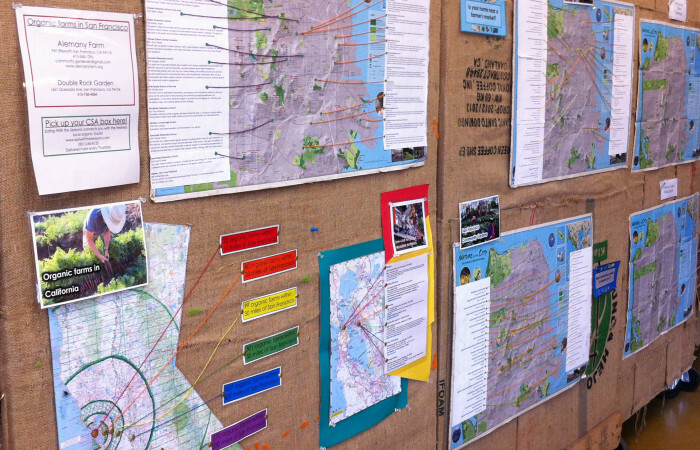 Come visit the Eco-Center to see our Eco-Maps Exhibit. Learn ways to eat local and connect with the farmers who produce our food. We have a map of all the Farmers Markets in the city, with information about hours and featured items at each location. We are also developing an app to connect people to local foods: farmers markets, edible school yards, nearby organic farms, community gardens, and farm-to-table restaurants. The app will be available to the public so anyone can enter information about the local foods in their city! Below are some interactive maps each highlighting a different program. Click on the orange dots to get more information about the organization/establishment. Check out CalRecycle’s interactive map to find local recycling centers.